have the same problem with bladder fish!! Yay! We can see the Penglings up close now! Bioscanner & Biosample may no longer be dropped / lost. I feel like I'm being challenged. I do not know how to respond yet. There's also creepvines and creepvine seed clusters for the time being. I've found that if you're running out of water that badly you've probably had more than enough time to explore and see everything in the game so far. If it still continues to be an issue you can always start a new file on Freedom mode and ignore water altogether. Using the console command daynightspeed to slow ingame time might slow down thirst depletion as well, but I haven't confirmed this yet. Nice Update, even though no new features, but thats ok. I would love to find Lithium somewhere to spend some time on base building while waiting for new features. Or did I missed it only? not currently possible at least from what the wiki says to obtain lithium without using console commands. I haven't played around enough on the experimental build to see if they spawn in the world or not yet. I managed to get lithium without console. Dont remember where...try to look into unfinished deep twisty bridges biome (I think there is also plenty of magnetite), or around island with rocket. In deeper places. In the eastern portion of map, where those big whales are, is also Ruby. This hasn't happened to me so far. Are you sure you're looking in the right place? Bladderfish only seem to spawn around the drop pod and twisty bridges; they don't appear in the deeper areas. It's hard to get, but it can be reached. There's a very small hole/cave entrance just before the drop into the Deep Arctic (where the glow whales and stalkers are) that you can enter to reach an area full of quartz, lithium, and blighters at about 300 m depth. OK found the glow whales, but a small cave there???? The easiest way to find lithium is to start at the floating rocks base. The one that is full of water and above the mushroom fields. Point towards the rocket waypoint and head towards it at about 150m. you'll run into a wall. Follow the wall until you come to a corner where two tall rock walls meet. go to the bottom of that, there should be a small-ish hole right in the corner. follow that in. bear to the right. go straight down, you'll hit a floor, go to the right again, and it should go down some more. The water will turn pink and you'll find a fair amount of lithium there. I used pumps to get air down there to look around. the lithium there is around 400m. I hope the coordinates can help you find it. The hole wouldn't fit a vehicle; it's that small. In the second pic, it's located between the arms of my base - I'm including that pic to help communicate the hole is rather hidden. Though you can dive in with the seaglide, I recommend the use of pipes not just for air, but also as a guide back because it gets surprisingly dark all of a sudden down there. (My pipe system seems to have been deleted by the update. C'est la vie.) A scanner room to guide you isn't necessary since the quartz and lithium light up well enough against the walls, but it might be handy still. And bring a medkit or two + keep moving to survive the blighters. all in good time, they have months of content to add. When will the seamoth come back? don't appear to be any plans to re-add the seamoth according to the favro board. It's function sort of has been superseded by the new SeaTruck vehicle in which the cockpit itself basically works like a seamoth but is able to dock up with module trailers to create a modulated larger vessel with multiple compartments, also explains why we won't be seeing a return of the Cyclops sub either, the seatruck does the job of the seamoth and cyclops in one vehicle with how modular it is. 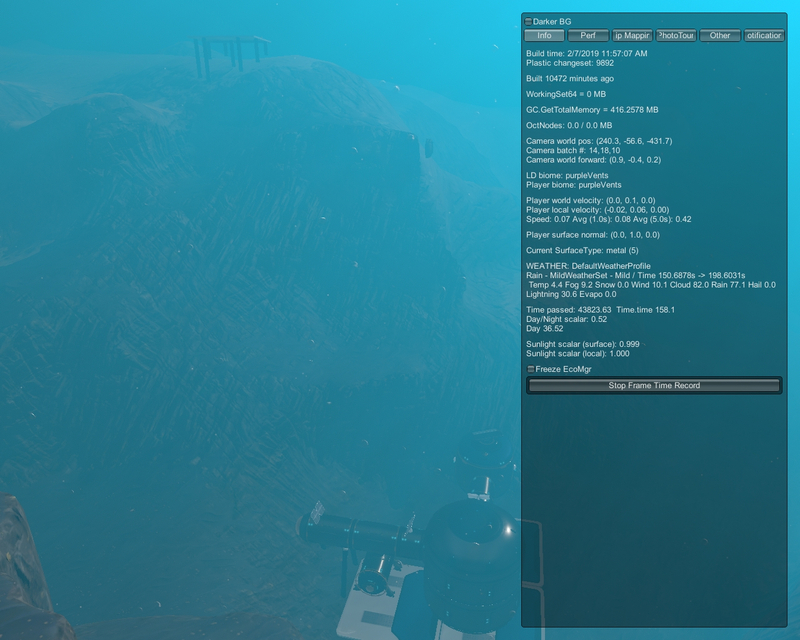 That's a bug from normal subnautica that was patched out of the original game a while back. I'm surprised that bug made it and was reintroduced in Below Zero. Anyways, have you tried restarting the game? as that was the only way to fix that issue until the devs nuked that bug in the original game.